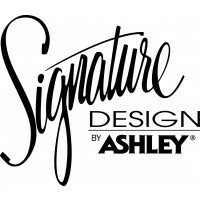 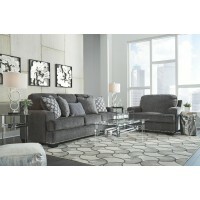 Don’t you love when furniture feels as good as it looks? 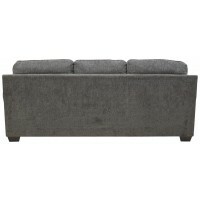 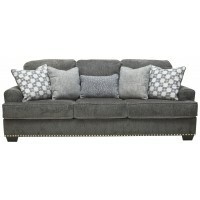 There’s no doubt this sofa sleeper makes a trendsetting first impression. 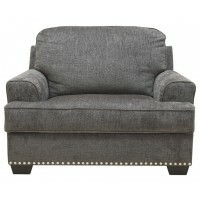 Textural chenille fabric elevates the look of your room with its handsome gray hue. 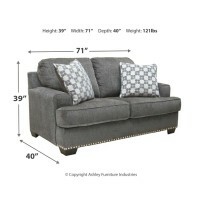 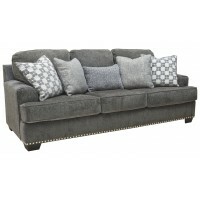 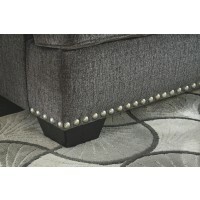 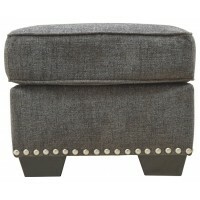 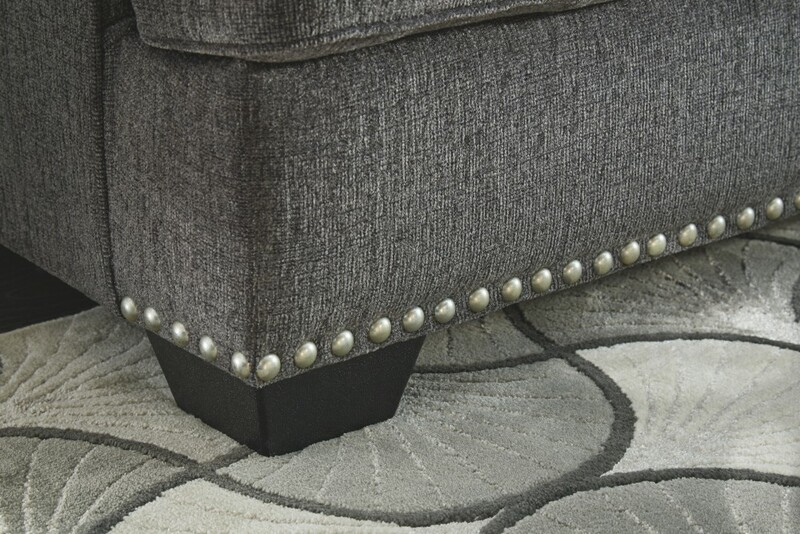 Pewter-tone nailhead trim brings an element of shine. 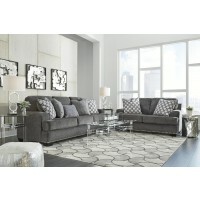 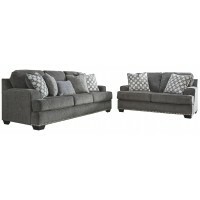 Prop up the fashionable throw pillows or curl up with them as you sit. 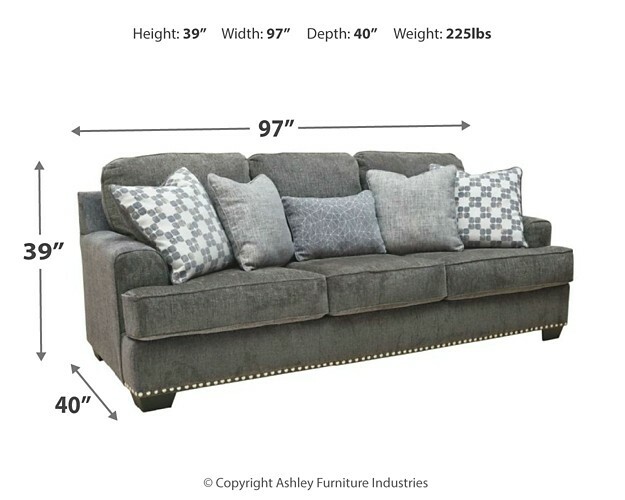 Be aware—you may doze off on its deep seating, forgetting to pull out the bed. 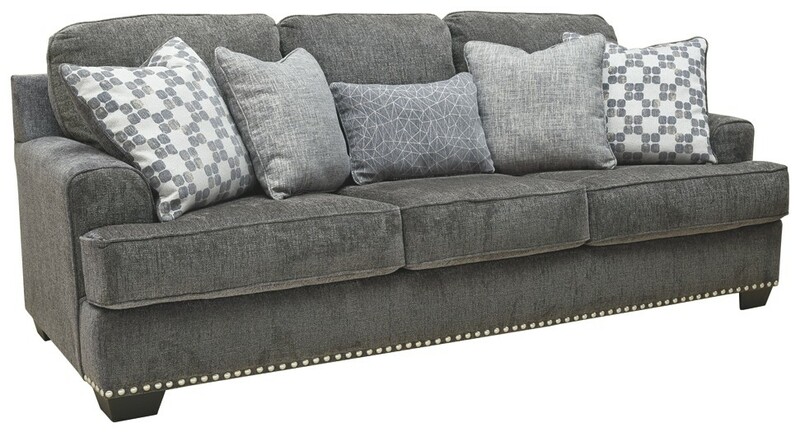 It’s just that comfortable. 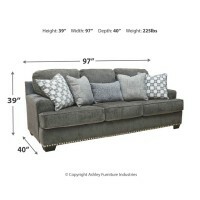 Pull-out queen mattress in quality memory foam easily accommodates overnight guests.